Druids Mint plant, Mentha aquatica, is sometimes known as Water Mint. Strongly aromatic. Tasty. Peppermint and Eau de Cologne Mint are derived from this heirloom variety. Moist soil in a cool, quiet corner. 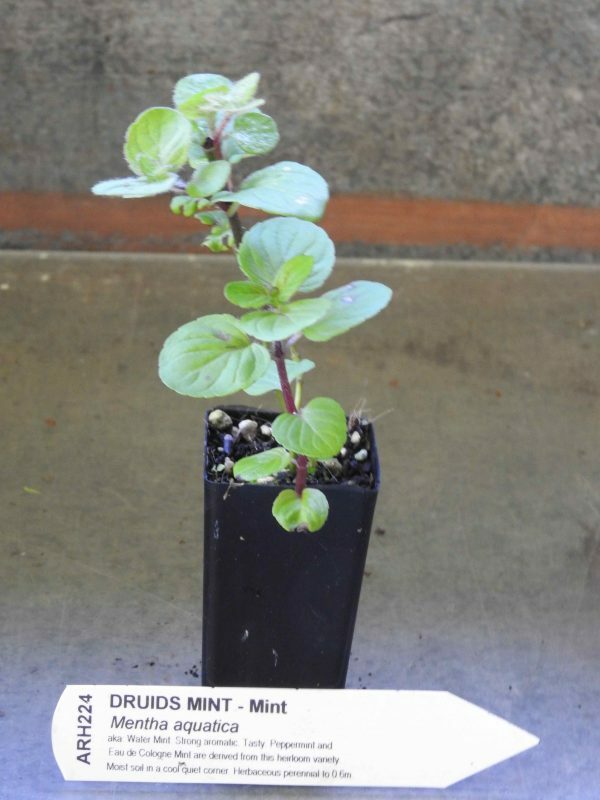 Druids Mint plant is a herbaceous perennial to 0.6m. Be the first to review “Mint, Druids plant” Click here to cancel reply.